That’s right, I said the dreaded phrase: THINGS SURE WERE DIFFERENT IN MY DAY. The girls looked at me like I was a dog walking on my back legs. I could almost see them trying to calculate what “in my day” looked like, their eyes blinking and squinting as numbers and Greek symbols flashed above their heads like a cartoon. Maybe they saw cavemen walking around in mammoth-skin skinny jeans, or those old-timey gangsters hanging out in saloons with cigars dangling from their lips drinking kombucha teas from Starbucks. It had to be some strange, foreign amalgam of their own reality and the reality they could only assume their screamy old mom came from. But the truth is, my day was very different. My childhood was arguably simpler. There was no online shopping or Prime deliveries and certainly no social media. Kids “in my day” were not as connected as kids are today, with information at their fingertips. This makes our children much more knowledgeable, and this is great for learning and exploring. Whenever we have a science project or a social studies report due, my girls and I head to the web. We have found loads of practical and fun information. It is also very easy to stay in touch with our friends and family. For anyone who has moved and left behind people they care about, social media can be a wonderful tool to preserve friendships. But as with all wonderful things in this world, there are disadvantages, too. Our tightly connected and information-saturated world means our kids know a lot more about tough realities. This difficult knowledge hit home when my oldest child’s class practiced emergency protocols. She often would come home and tell me what she would do when “code red” was activated. Her demeanor was calm and even happy as she described the role she would play. One day she happened to see coverage about a school shooting. The reporter spoke about the different ways that students and teachers worked to save the lives of their fellow classmates and staff. The actions they described, such as barricading doors and hiding in closets, were similar to what her class had been practicing. I could see her brain making the connections, and this led to inevitable questions and a very difficult conversation. While this was something I never wanted to talk about with my little girl, it was a conversation that was necessary. Children are exposed to and must face difficult realities. Kids begin to develop their own identities almost as soon as they are born. They say “no” to gooey green baby food and later wear black lipstick to their grandma’s 80th birthday party. Or maybe that was just me? Regardless of the black lipstick, healthy emotional, physical, and spiritual development is rooted in the development of one’s identity. Difficult circumstances such as school violence, bullying, and even divorce can destabilize or strengthen their identity. 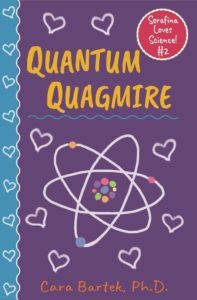 In my science-themed middle grade book, Quantum Quagmire, I cover the topic of divorce. Serafina Sterling learns her best friend, Tori Copper, is going through a difficult time when she starts to lose interest in her most beloved hobbies, bug hunting and pizza eating. And what’s troubling Tori is more difficult for Serafina to understand than cold fusion: Tori’s parents are getting a divorce. Serafina turns to her friends and science to try to figure out how to prevent the divorce. Using the scientific method, trial and error, and one disastrous release of a dangerous class pet, Serafina realizes her beloved science has reached its limit. Or has it? In the end, Serafina is able to understand a very important quantum principle and use it to help Tori accept the inevitable split. 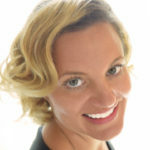 Serafina and her friends realize that while they may not be able to prevent a divorce, they have the tools to understand and accept the difficult reality. 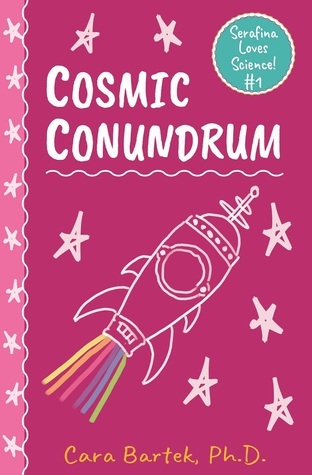 The purpose of this book was not only to convey one of my favorite quantum concepts, quantum entanglement, but to also help kids navigate through difficult realities they may face. Especially in today’s information heavy world. We all have some control over our lives. Where we live. The job we have. What’s for dinner? We can’t, however, control the weather, what our neighbors are like, and who our bosses are. Kids have even less control. They can’t vote. They can’t get their own place. And they can’t understand what they can and can’t change without some guidance. In Quantum Quagmire, I emphasize the importance of acceptance. Serafina and her friends try to reunite Tori Copper’s parents. When those efforts fail, her mother helps her understand that sometimes bad things happen in a person’s life. Serafina was able to take these lessons and help Tori accept the change. More importantly, she helped her see that even though her parents would not be living in the same house anymore, they would always be connected as a family. Sugarcoating is Good. Perspective is Better. My hope is that my entire Serafina Loves Science! series helps lay the groundwork for difficult conversations with children. Our kids will face a lot of challenges and failures in their lives, just as we have “back in our day”. Their relative success or failure in life will be the result of how well they can navigate, recover, and later thrive because of those bumps in the road. When my oldest daughter recently lost her front tooth and was concerned she would “look weird” in class, I tried giving her a sugarcoated answer. I told her that the little hole in her face was “cute” and that at least she had a very handy soup strainer until her grown-up tooth came in. Those answers seemed to placate her for about 10 minutes. But as I stared at my gap-tooth seven-year-old, with her arms folded tightly across her chest and her brows pinched into a tight knot, I realized she was onto my bogus mom answers. I took a deep breath and tried to put it into perspective for her. I told her that, in my day, I also had been self-conscious about looking like a piano missing a lot of keys, and that her friends probably felt the same way. I listed some of her friends who also were missing their front teeth. She seemed to respond to this and even gave me a hug. While having a missing tooth isn’t as difficult as divorce or school violence, the method of providing perspective remains. Kids are smart, and they are growing. Providing them with truthful, honest, and loving guidance can make a difference. It certainly did for Serafina and her friends! Series Summary: Serafina Loves Science! 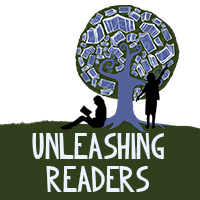 is a middle grade fiction series that focuses on 11-year-old Serafina Sterling. Serafina is just like other kids who have to deal with issues like annoying older brothers, cliques at school, and parents who restrict her use of noxious chemicals. But she has a secret … Serafina loves science! Her passion for all things scientific helps her make new friends and figure out the old ones, understand her family, invent new devices for space travel, and appreciate the basic principles of the universe. Cosmic Conundrum Summary: See Kellee’s review from Friday! 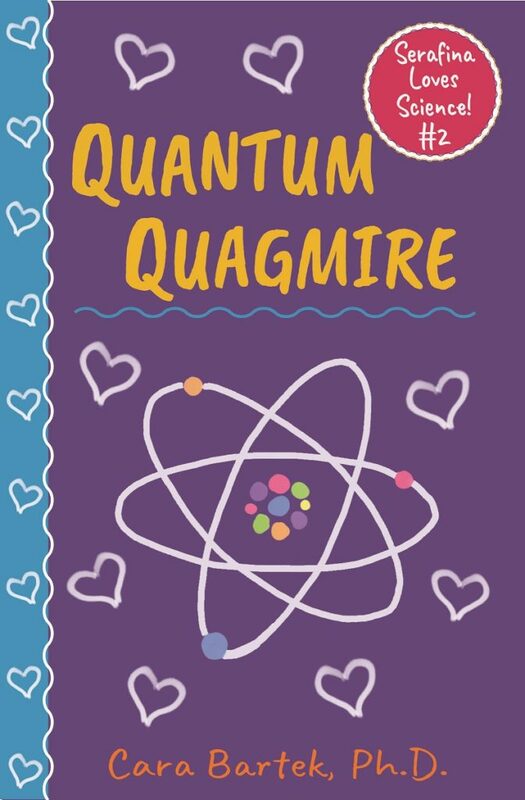 Quantum Quagmire Summary: Serafina suspects something is wrong when her best friend, Tori Copper, loses interest in their most cherished hobbies: bug hunting and pizza nights. When she learns Tori’s parents are getting a divorce and that Tori’s mom is moving away, Serafina vows to discover a scientific solution to a very personal problem so that Tori can be happy again. But will the scientific method, a clever plan, and a small army of arachnids be enough to reunite Tori’s parents? When the situation goes haywire, Serafina realizes she has overlooked the smallest, most quantum of details. Will love be the one challenge science can’t solve? 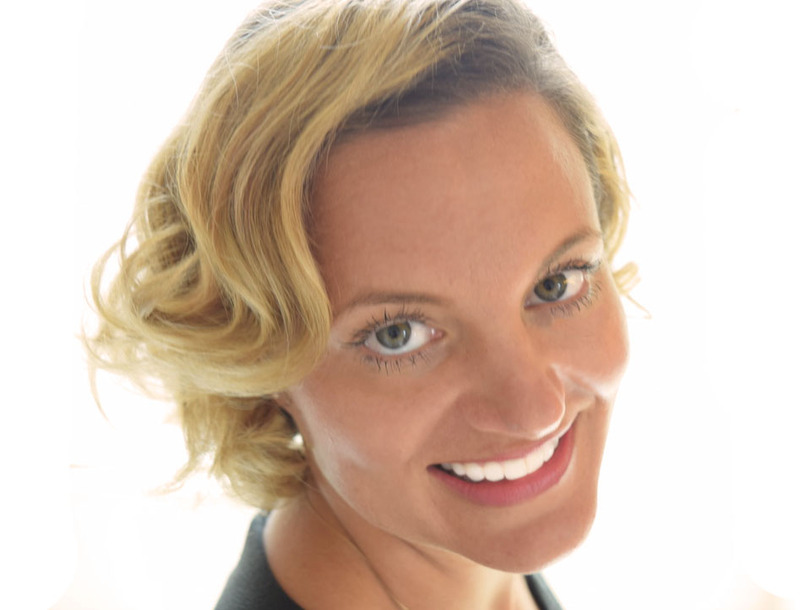 Thank you to Cara and Absolute Love Publishing for sharing this awesome outlook into the changes in childhood in the 21st century and how Serafina deals with these changes!